Our specialty is tight tolerance processing of metal tubular products and assemblies. 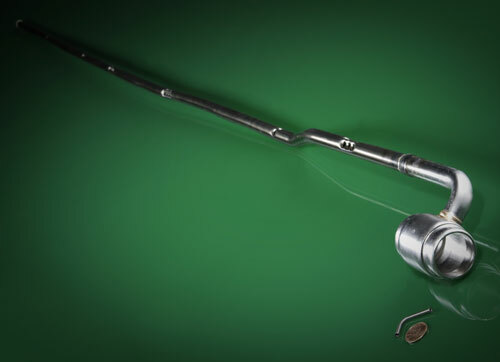 We produce a large variety of fabricated tubes and assemblies including power steering pump tubes, HVAC, and gas guides for airbag applications. 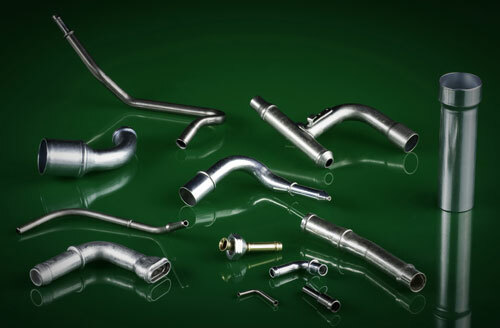 As a direct supplier to the automotive industry we are equipped to handle all of your high volume tube fabricating applications. 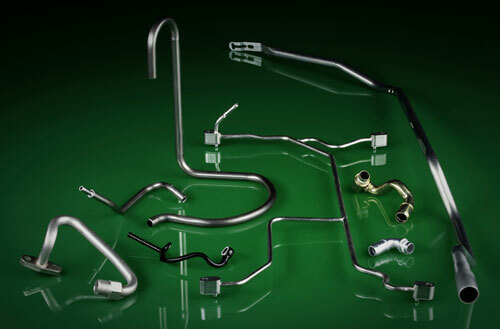 This is a sampling of various high volume tubes and brazed tubular assemblies we produce for the automotive and refrigeration markets. Example of steel, stainless steel, and brass tubes. 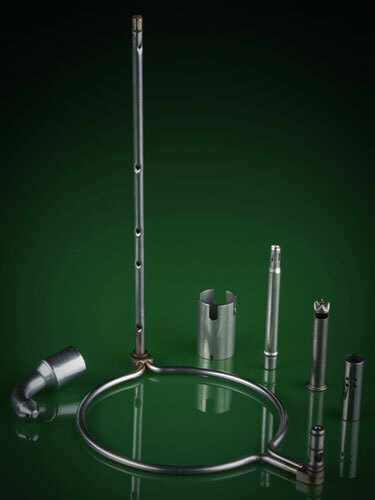 High precision tube fabrication in a variety of sizes. Tight tolerance tube end forming is a specialty of Universal Tube. Our specialized tooling ensures the highest standard of burr free craftmanship. We are experts at forming precision drilled, flattened, pierced, and notched configurations. 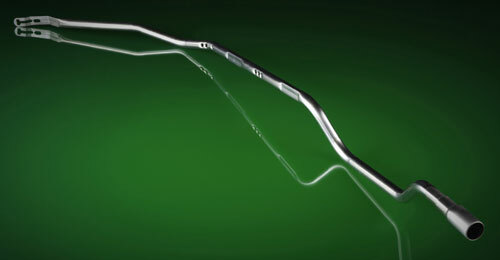 Our modern CNC tube benders are capabale of bending tubes with diameters from 3.175mm to 50.8mm (0.125" to 2"), with multiple bend radii. These benders offfer quick setup flexibility for JIT delivery and low tooling costs. Universal Tube has a variety of cut-off and deburr machines allowing us to produce tubes at high volume and low cost. These precision machines provide burr free ends while holding very tight tolerances. 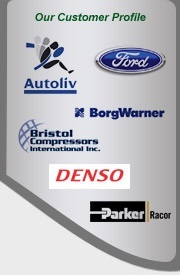 We work with all SAE and ASTM specifications including SAE, J356, J526, and J527 along with ASTM specifications A213, A269, A513, A519, and A554.